"Travel is exciting but Evolution isn't just travel. When you join Evolution you have access to their entire entertainment division, where you can personally enjoy and earn income on every major sporting event, concert, and theme park across the world." Evolution Travel in partnership with Archer Travel Service, Inc. have established a home based travel business that is affordable and includes training, sales assistance and dedicated support. Our program has the experience and management to provide a long term program where success is derived from both travel sales and Referral Program. 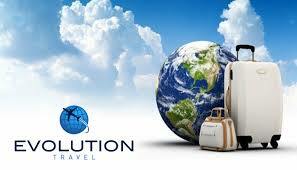 The Evolution Travel Program is dedicated to assisting all members succeed through extensive training and support. Why aren't YOU an Evolution of Travel Agent Yet? Become an Independent (Home Based) Evolution Travel Agent powered by Archer Travel Service today. Family owned & operated since 1952, Archer Travel Group is a pioneer & leader in the travel industry. First class service with a personal family feeling. No other program has the experience (Archer was established in 1952), dedicated support and comprehensive training to ensure the greatest level of success in both referring members AND travel sales. What do you get when you become an Independent Agent of Evolution? Starting businesses from the ground up is nothing new to David. A lifelong entrepreneur, David has founded a clothing store, a restaurant, the largest independent concert company in Las Vegas, and has also invested in a hollywood film. Born and raised in Las Vegas, Nevada, the largest tourist destination in the world, it just made sense that David found his way to the travel industry. Persistence from his mother along with time freedom that his traditional businesses didn’t allow him are the things that got David involved in network marketing. He quickly ascended to the top of the companies that he was involved with. His passion to help people and to give the average person a platform to succeed is what drove David to found Evolution Travel. David brings a highly regarded distribution team along with a star studded corporate team to anchor Evolution Travel, holding true to his motto of “Maximize your strengths and surround yourself with people who mask your weaknesses." Ron is the President of Archer Travel Service, Inc. a Large Independent Travel Company established in Glendale California in 1952. 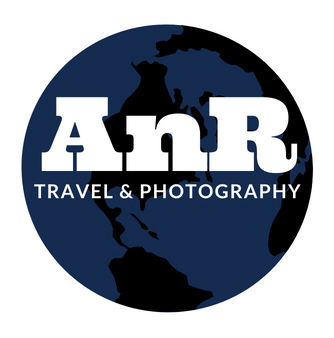 Ron’s leadership and creativity have assisted Archer to become well established in Group Travel, Corporate Travel and the implementation of Travel Platforms for Travel Clubs and MLMs. Ron is a former Board of Director for The Signature Travel Network, a leading travel co-operative with over $7 Billion in annual travel sales. Ron has also served on multiple advisory teams for tour operators and cruise lines.